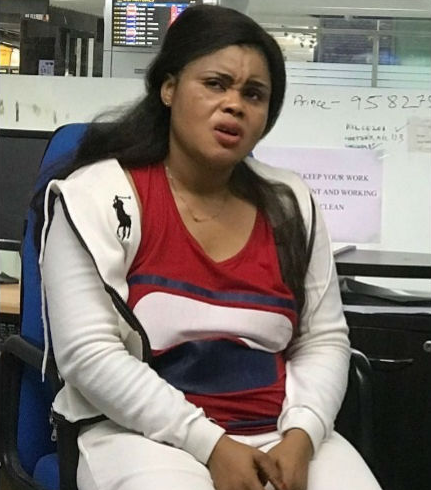 The Kolkata unit of the Narcotics Control Bureau (NCB) in Kolkata, India, have arrested a Nigerian woman named David Blessing at the city airport for being in possession of banned drugs. According to Tribune, an officer of the agency confirmed on Tuesday that 30-year-old David Blessing was arrested by NCB (eastern region) sleuths following a seizure of 20 blots of LSD and after the LSD was seized, 12 gm of cocaine was reportedly taken out by the woman from her private parts. After thorough questioning, the Nigerian lady disclosed that more contraband was concealed inside her body but she cannot remove them on her own. "We took her to a nearby super specialty hospital where X-ray examination of her lower abdomen showed some concealment in her uterus and the same can be detected only through trans-vaginal USG," the officer of the agency added.